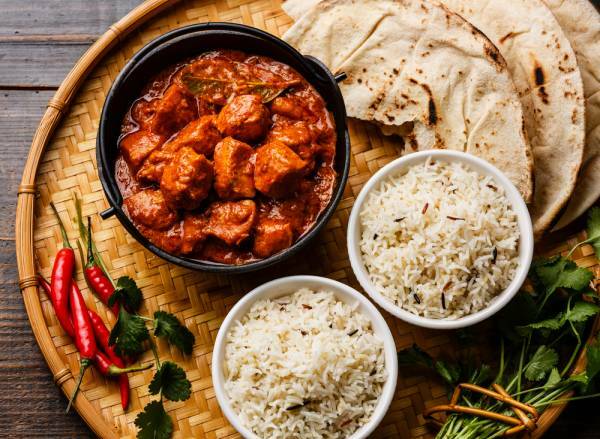 Discover our fantastic selection of Chicken Recipes and Cooking Ideas all written by our expert professional chefs at L'atelier des Chefs, based in London. Marinated chicken skewers with lime, cumin and coriander served with a homemade peanut and coconut satay sauce. A staple of any good Indian restaurant. South India inspired chicken curry spiced with cumin, turmeric, garam masala, cardamom and tomatoes. 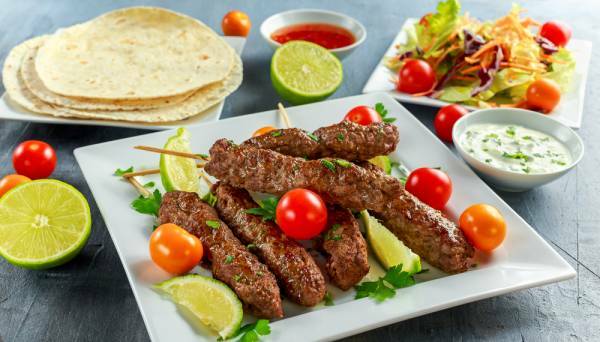 Kofta kebabs, also known as kabobs, is a traditional spicy chicken kofta from Iran using Turkey meat but we have given it a twist and used chicken. 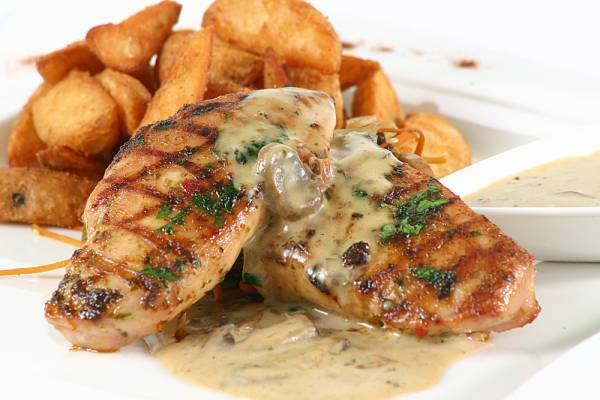 A flattened chicken breast with a baby potato salad and roasted mushroom sauce finished with tarragon. A great quick dish. A rich creamy tomato based curry sauce, with a much debated origin . One of the most recognisable Thai dishes which is perfect for a quick 30 minute cooking class and easy to recreate at home. An insightful introduction into Thai cooking and the balancing of the fundamental taste senses: sweet, sour, salty and bitter. 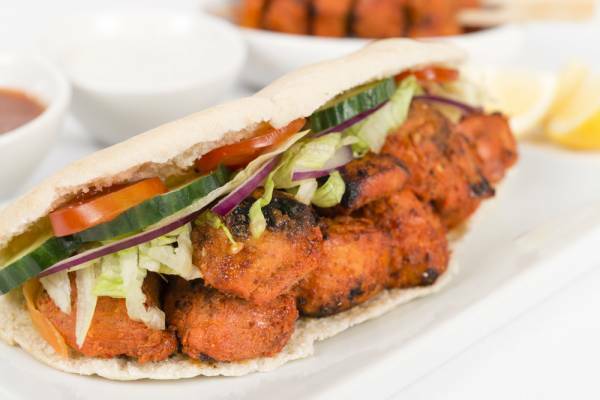 All ingredients in this recipe can be found easily in your local shops. 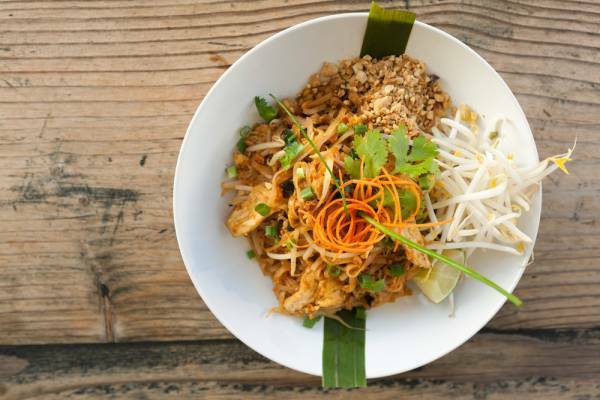 A simple classic Thai dish with beansprouts, noodles and chicken. Perfectly marinated Chicken thigh, Fresh crunchy slaw and yoghurt dressing, perfect for a quick meal after work! 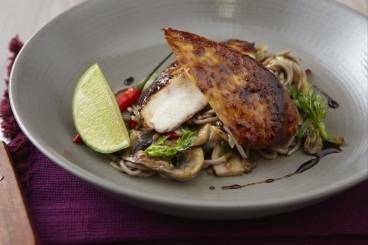 Pan-fried chicken breast cooked in a mirin, soy sauce, ginger and orange glaze served with soba noodles and fresh coriander and chilli. Chicken supreme stuffed with pesto served on a bed of pan-fried and marinaded courgettes with confit tomatoes and parmesan crisps. 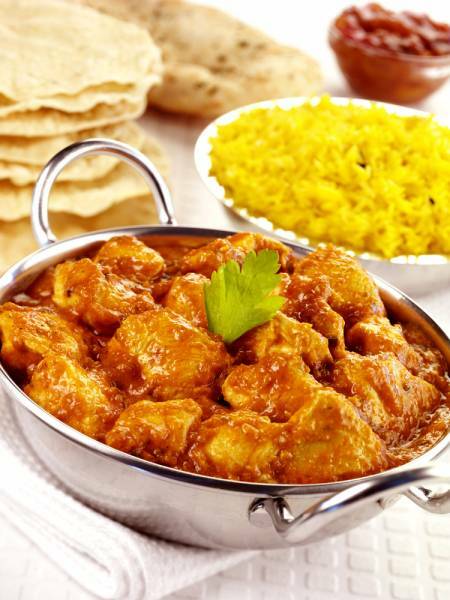 A mild chicken curry served with cardamom scented basmati rice.